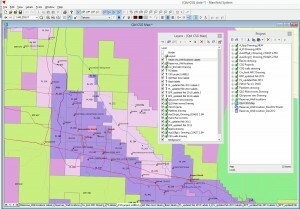 What is geospatial data? Broadly speaking, geo means ‘the Earth’ as in geography, and spatial refers to a location ‘in space’ represented by coordinates. Geospatial data is a huge part of everyday life because almost every business activity, every public and private asset and every event or action occurs somewhere on the planet, and can therefore be stored as 3-dimensional spatial data with x,y,z coordinates defining its exact location in space. The job of a cartographer is to effectively display this data in a graphic format, making it easier to interpret and accessible to a wide variety of users for countless different purposes. 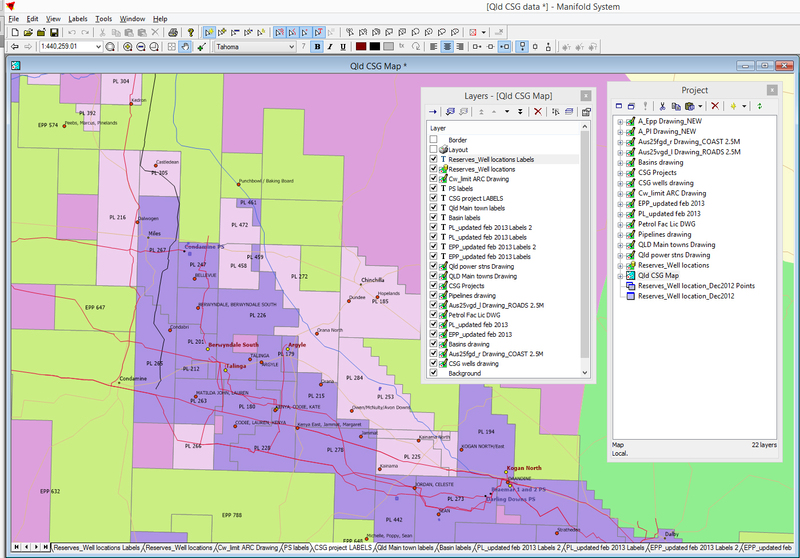 See our Custom Maps page for more information on spatial data and how it is used. 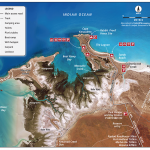 The Pilbara is a remote and beautiful part of Western Australia best known for it’s iron ore mining, but it also has a lot to offer tourists. A series of maps were produced for use online, in brochures and for large signs at information bays around the Shire area. 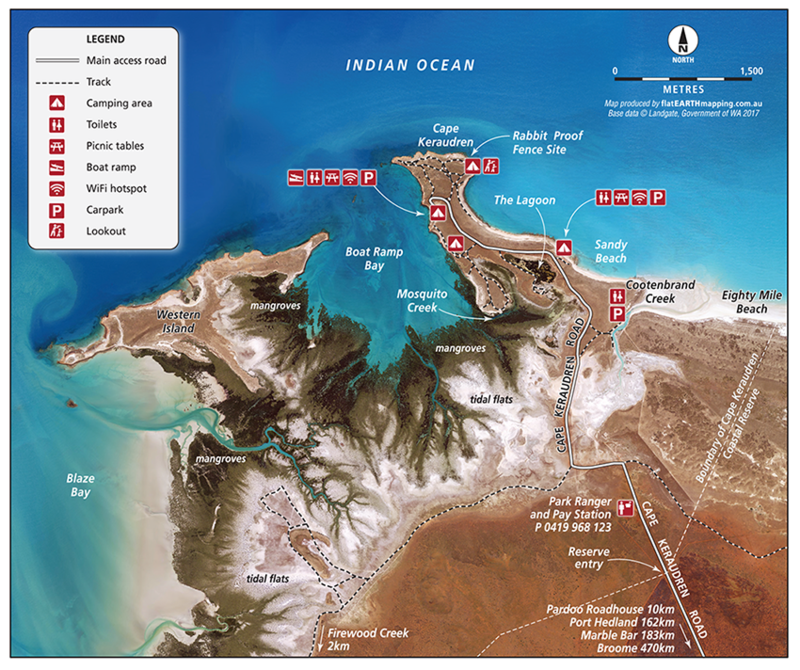 Part of the series was a photo-based map of the remote Cape Keraudren camping area. A transport company ordered a series of custom maps showing the locations of their suppliers. Trucks need to make daily visits to these farms to collect milk and deliver it to various processing factories. 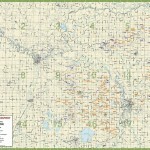 Knowing where each farm is and who operates it is important geographic information easily displayed in a visual manner on a map. 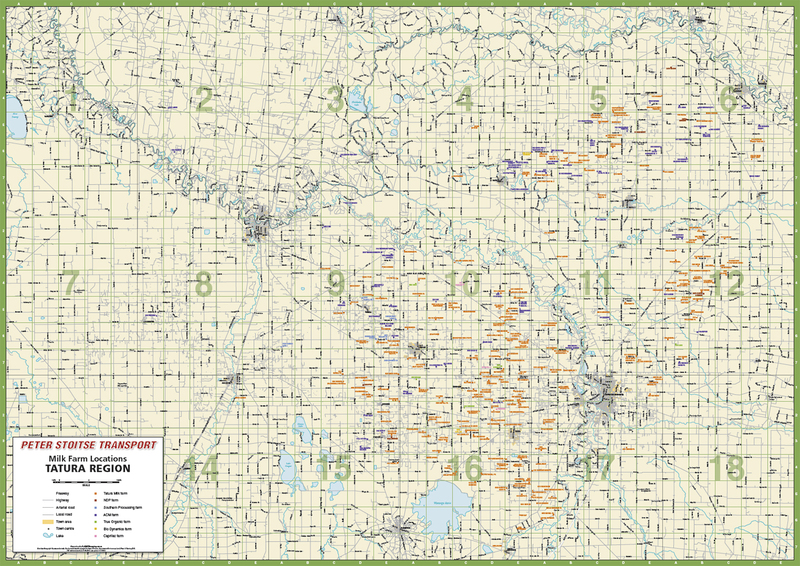 Once the large wall map version was completed, 18 separate A4 maps were created with an indexed list of grid referenced farm locations for each. These smaller maps formed a portable map book that can be used by the truck drivers. 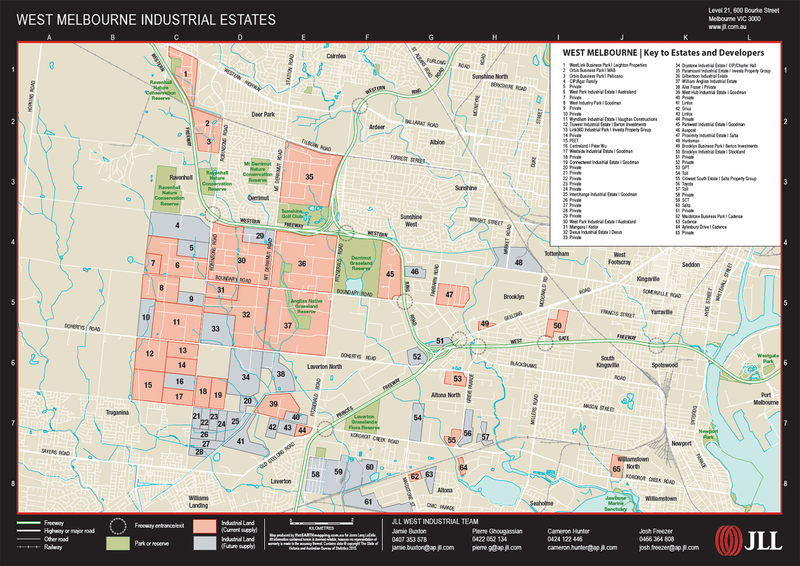 This is a great example of how a map can display marketing information – in this case the current and future availability of industrial zoned property in Western Melbourne for the large commercial property agency, Jones Lang Lasalle (JLL). The map was designed to fit with JLL’s corporate branding style and they wanted a map that would be attractive and easy to read. 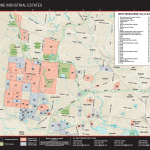 JLL will use this map to showcase various industrial estates to potential clients. They can see at a glance where the property is, who currently owns it and what surrounds it. 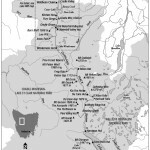 When Philippa Morton wanted to self publish the numerous hand-written accounts of her mother’s bushwalking experiences in the alpine regions of Tasmania, she required several maps to help illustrate the inspiring stories. 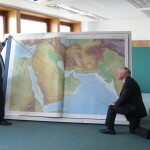 The book is titled “South from Cradle” and contains four custom-made, single colour maps by Flat Earth Mapping. 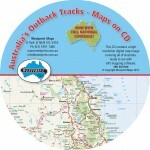 Westprint Maps releases a new version of its premium digital mapping product. 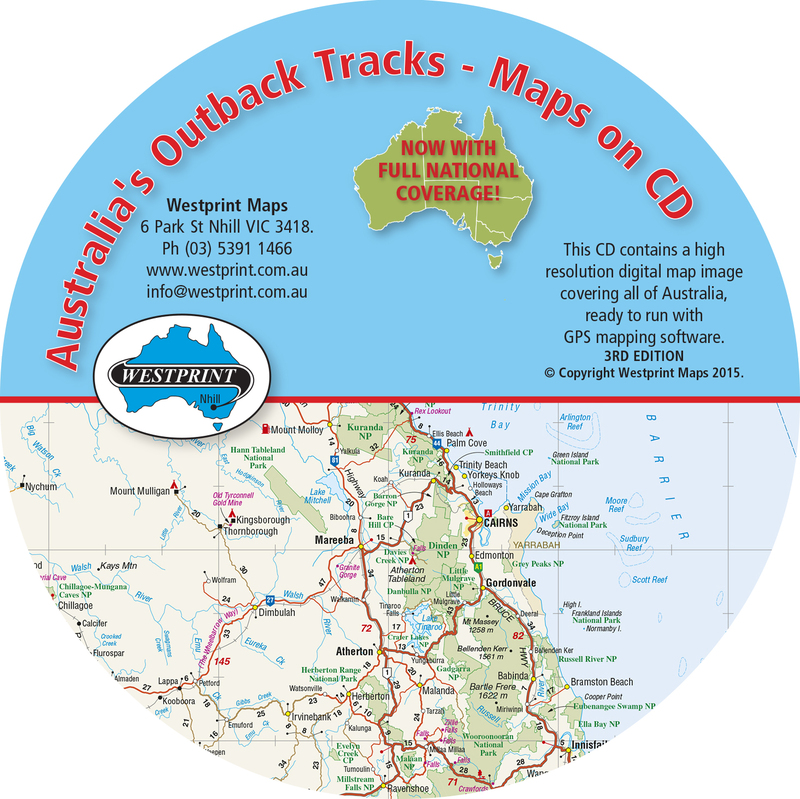 Many kilometres of new tracks, waypoints and other features have been added and updated to this national mapping coverage in typical Westprint Maps style. 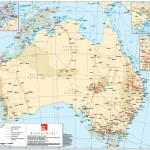 Australian Fishing Network, in conjunction with Westprint Maps and Flat Earth Mapping, releases a brand new large format road atlas covering the whole country at a consistent scale of 1:950,000. See the AFN website for further information. 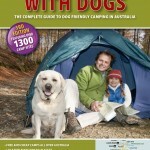 The 3rd edition of Australia’s best guide to camping with dogs is released by Flat Earth Mapping. Now in full colour throughout and finished with top quality flexi-bound covers for durability. 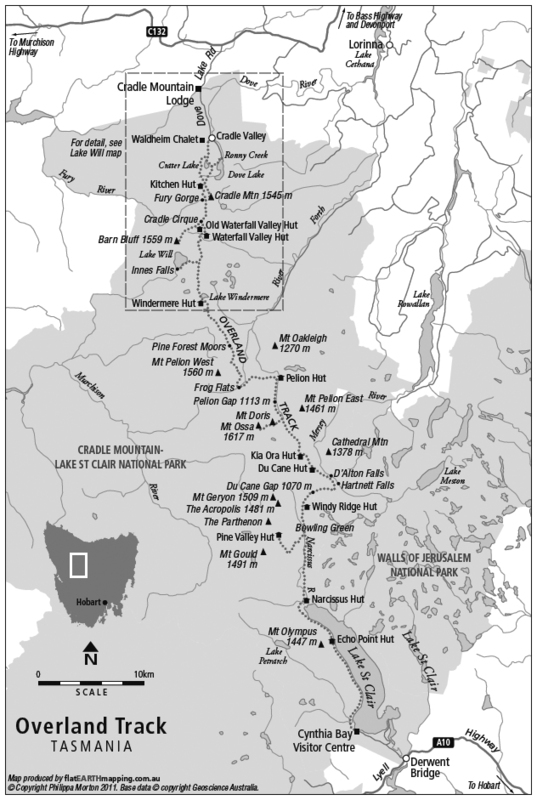 Features more than 1,300 campsites in parks, reserves and forest across the country. Check out the Facebook page for Bush Camping with Dogs for further information including sample pages from the book. 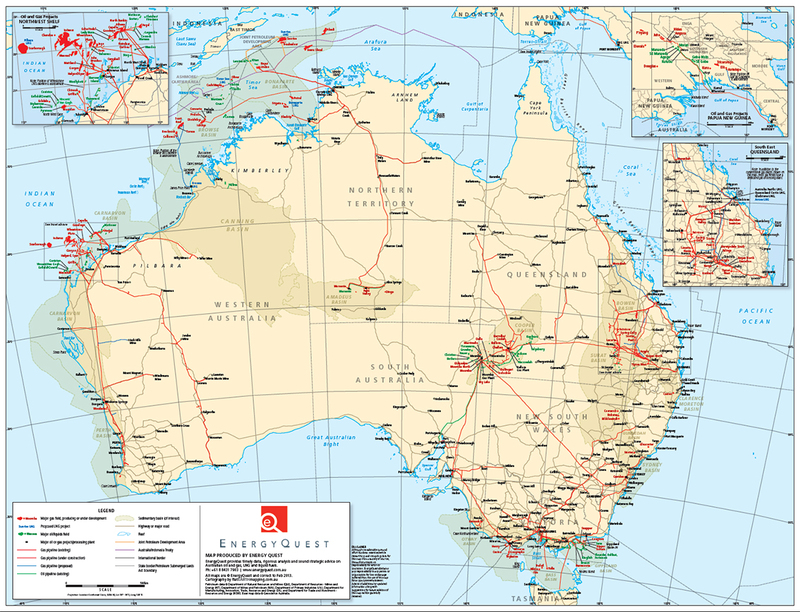 In conjunction with Adelaide energy industry consultants, EnergyQuest, we produced a large wall map of all current petroleum projects in the Australia and Papua New Guinea region. The map was printed and published by Energy News Bulletin and distributed widely throughout the energy sector. 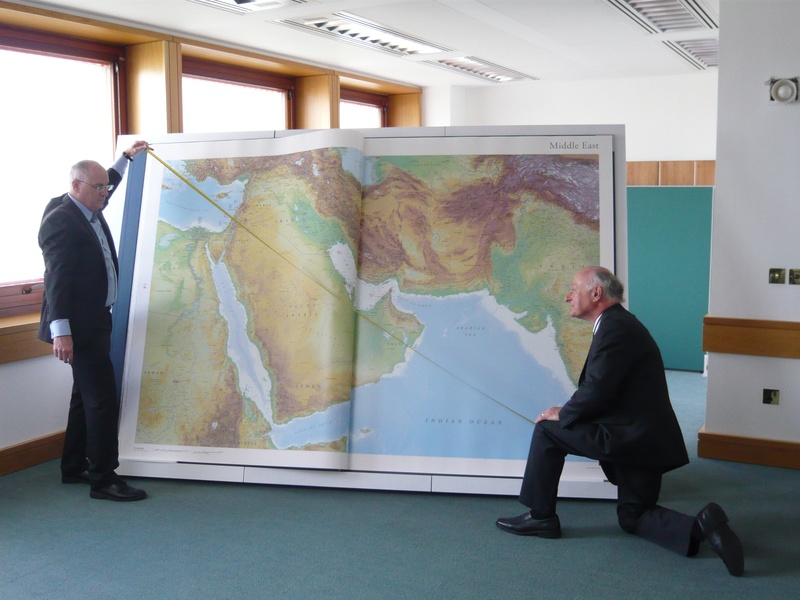 July 2012: A copy of Earth Platinum is now permanently installed in the British Library where representatives from the Guinness Book of World Records took measurements to verify it is officially the largest World atlas ever published. The dimensions of the opened book are approximately 2.8 x 1.8 metres and it sells for US $100,000. Only 31 copies will ever be made. See here for more information about the publisher. Flat Earth Mapping recently produced a wall map for client EnergyQuest, showing all current and proposed Liquified Natural Gas (LNG) projects in Australia and Papua New Guinea. It was launched at the Australian Petroleum Industry conference in Adelaide in May 2012. 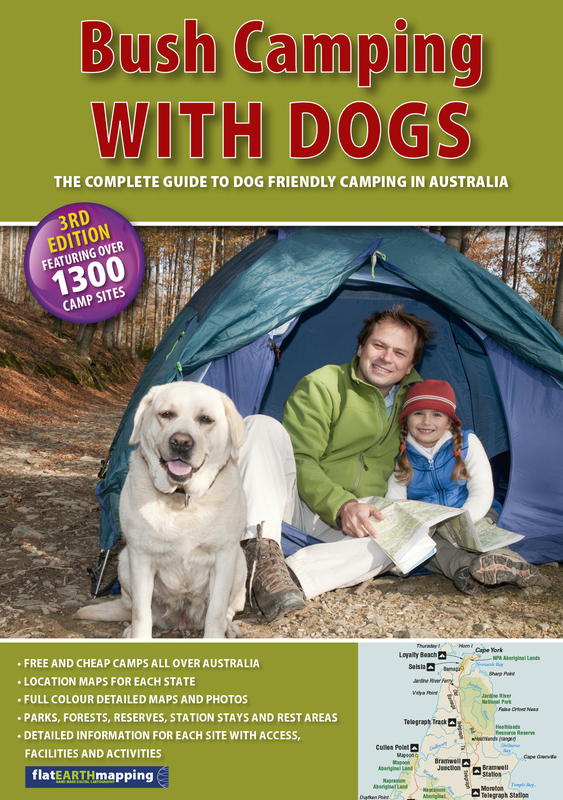 March 2011: The all new 2nd edition of Bush Camping with Dogs is now available. Completely revised and now expanded, this book is the ultimate guide on where to camp while travelling anywhere in Australia with your dog. See www.flatearthmapping.com.au/bush-camping-dogs/ for further details. 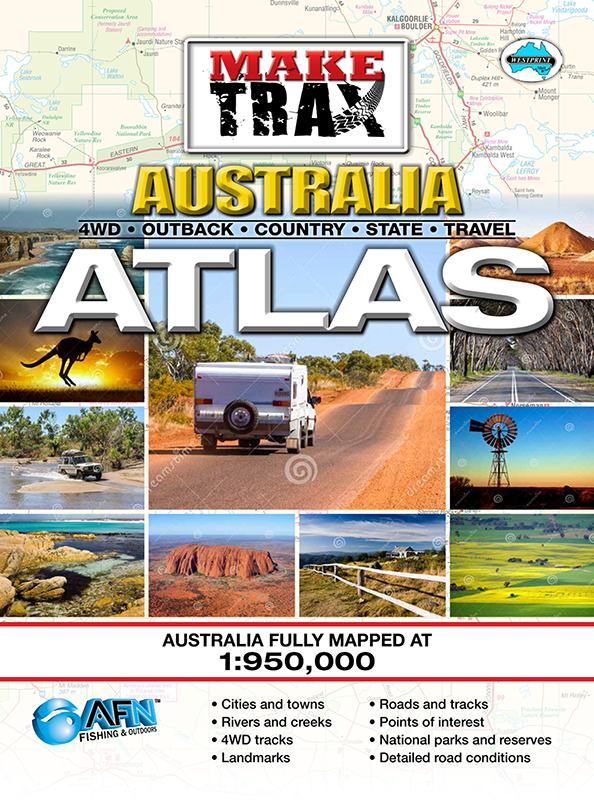 June 2010: The World Atlas wins the International Map Trade Association (Asia Pacific) Best Book Based Product and the Best Overall Cartographic Product during map awards held in Melbourne at the annual conference and trade show. Flat Earth Mapping worked on many of the maps in this atlas, published by Millennium House.